The mod will add approximately 50 new and well sharpened picks. Everything will be different strength. You can decide what you pick produce from existing items in a backpack. 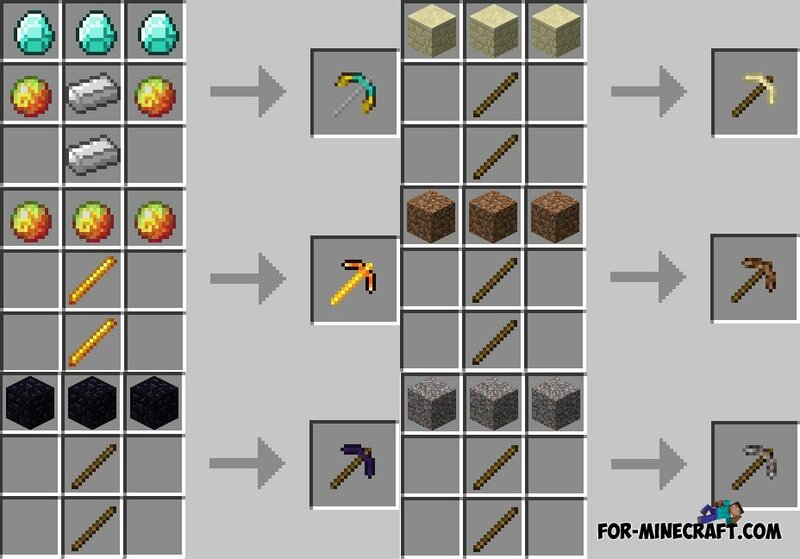 Backpack mod for Minecraft 1.7.10Backpacks for Minecraft 1.7.10 allows you to create a roomy bag with which you will be able to put in a lot more inventory. BackPack mod for Minecraft Pocket Edition 0.10.5BackPack mod - mod adds to the game a lot of backpacks different colors. All backpacks will have a variety of sizes and capacity will vary. Backpack mod for Minecraft Pocket Edition 0.10.4 / 0.10.5The mod adds a very useful thing - a backpack. In total there are 5 types of backpacks, they are virtually indistinguishable, except that color.